When I created my Thai Cabbage Slaw, I knew I wanted a marinated chicken to grill and place over the top for a full meal. 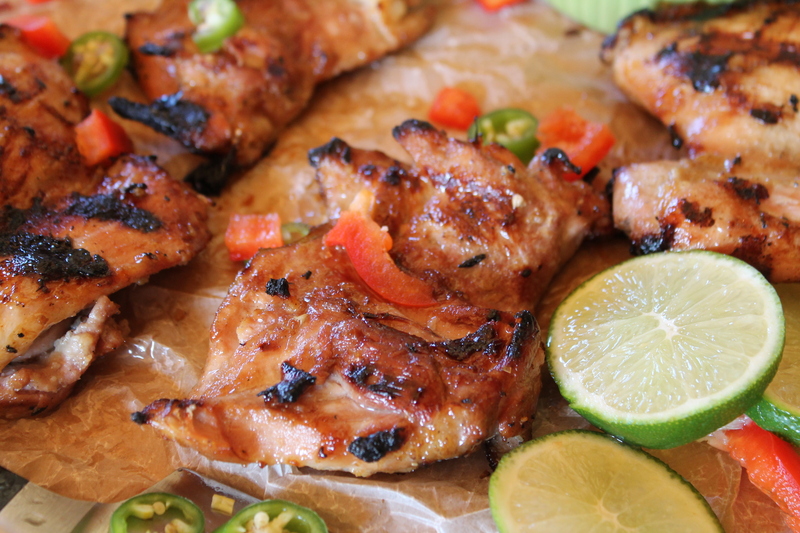 Using similar ingredients, I’ve created a luscious marinade that sings. I consistently turn to boneless chicken thighs for grilling as they are such a moist and juicy cut of meat. Regardless of my marinade or lack thereof, I have nailed down the sart of grilling this cut of meat to perfection. In Thailand, you will see amazing grilled meats served in many different ways, each more succulent than the last. Stateside, I have turned to some classic Thai flavors to make this chicken work: lemongrass, fish sauce, and lime. If there was ever a more magical combination of ingredients, I have not known it. I serve this atop the aforementioned cabbage slaw, but my kids eat it atop a bed of sticky rice. 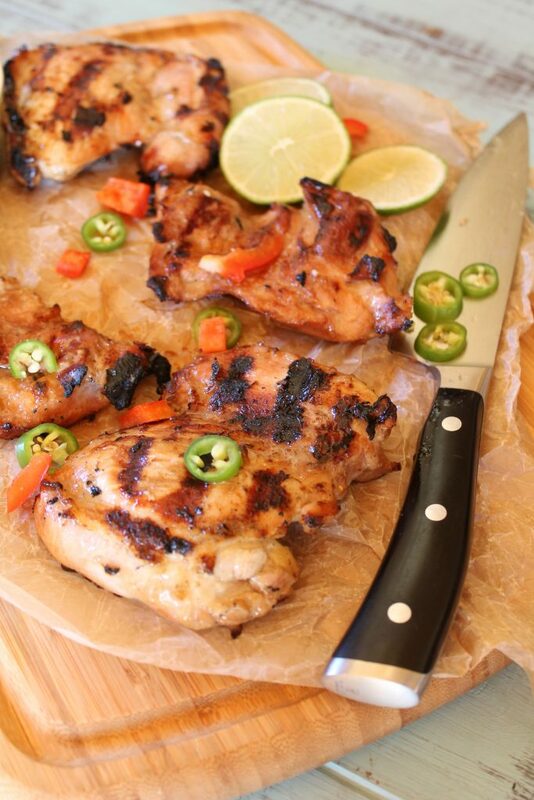 Either way, do yourself a favor and make at least a double batch of this chicken…it will disappear quick!